My school librarian purchased this title on her own (that is, without my suggestion), and I couldn't be happier. 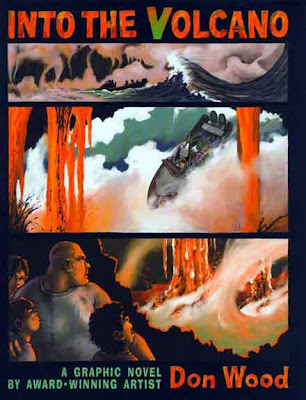 A great connection between the unit on volcanoes that the seventh graders study in science and the comics medium we study in my class. I know it's long. Sorry. Cut and paste that into your browser. It's also available with an Interactive CD, which would be really cool, too.